Keyword research: step 1 in the SEO Effect workflow. 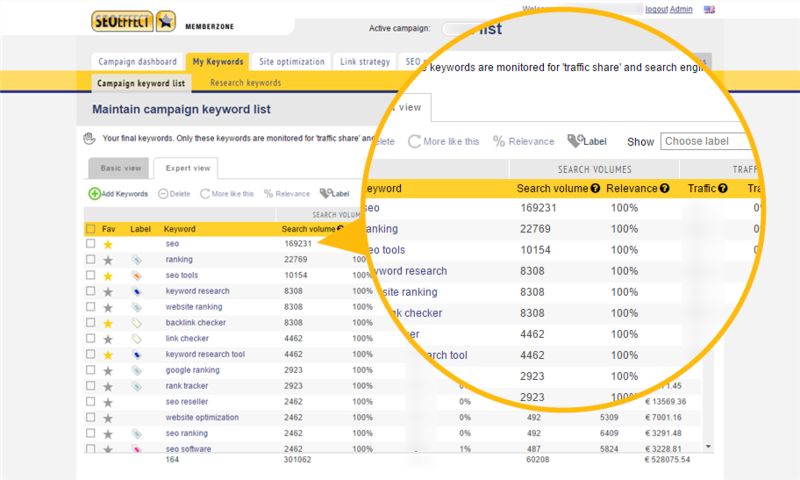 Keyword research is the foundation of your SEO. The keyword tool helps you to do keyword research, that is the foundation for all other steps in a serious SEO campaign. 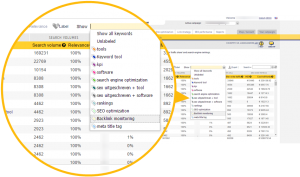 Is there a proper SEO business case in it? Don’t believe us. Test the tools yourself! No credit card needed, no strings attached. Or read more about the benefits of our SEO keyword tool below. Includes a solution for the “not-provided” problem that robbed Analytics of your keyword data. 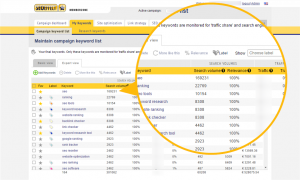 Includes a solution for the AdWords search volume ‘Volume range’ that AdWords keyword tool robbed you from, so you get the same dat as high volume AdWords advertisers. 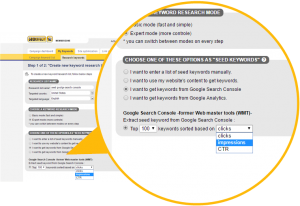 You give us some example keywords or a URL to start with or choose seed keywords from Google analytics or Google search console. ou pick the words you want to work with and put them in your final list. 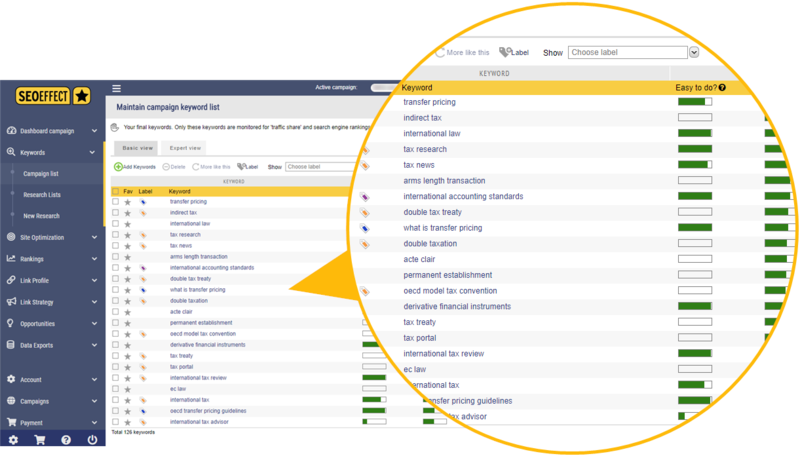 You can repeat this process as much as you like and experiment with different groups of keywords and different goals. 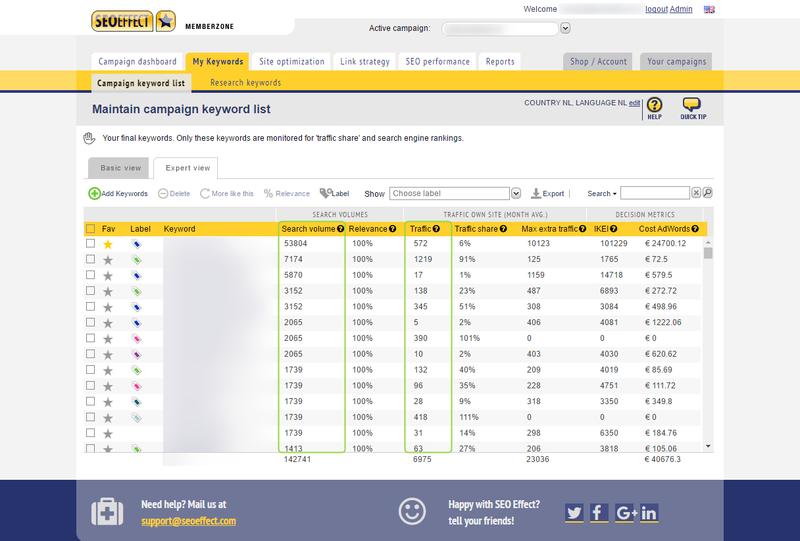 The keywords and keyphrases in your campaign keyword list are monitored in the weekly rank checker. 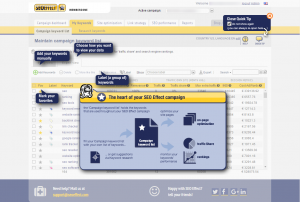 And you can re-sue them in website page optimalisation and our link prospecting tool. 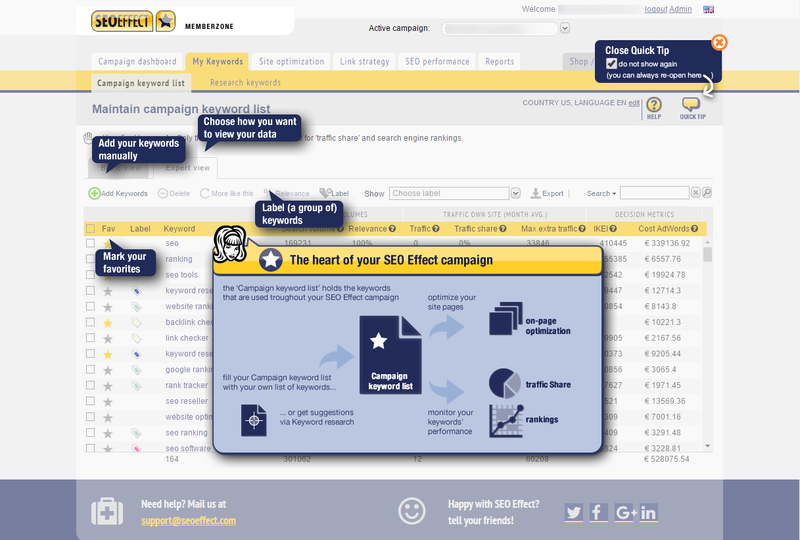 Try SEO Effect now with a free test drive! 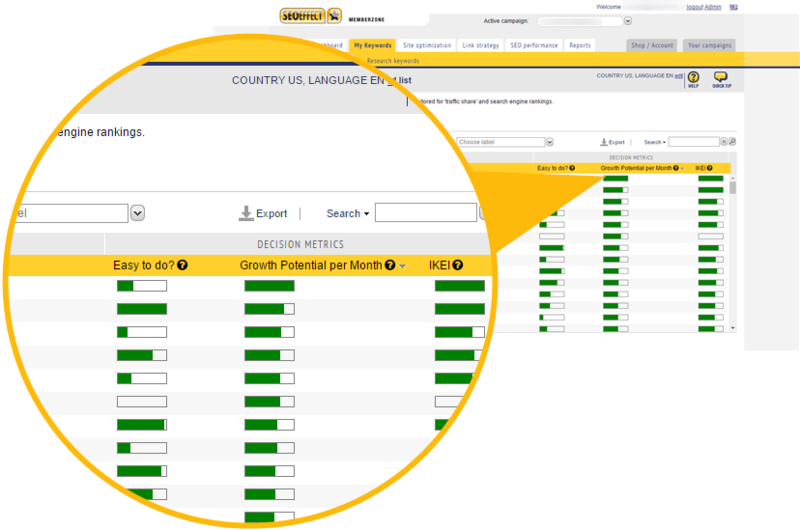 Don't take our words for granted, test the tool yourself! More then 8000 users and counting. No credit card needed, 100% risk free!